I.D. x O.D. I.D x O.D. We offer a wide range of equipments used in Laboratory like Cuvettes, Quartz & Silica Tubes, Blood Lancets, Stethoscopes, Desiccator, microscope, blood lancets, alcohol tester, quartz & silica tube, alcohol tester. High quality translucent silica tubes mainly used in high temperature heating element application. These tubes are resistant to acids & are also used as protective covers for heating elements in acidic & alkaline bathing. Keeping in mind the ever-evolving requirements of our clients, we are devoted towards trading an optimum quality range of Fused Silica Tubing. - As the base material for producing capillary columns such as gas chromatography columns and liquid chromatography columns. 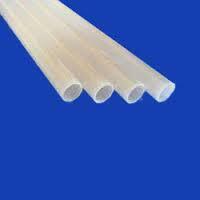 We offer Tubes For Carbon Estimation. 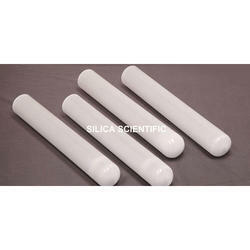 High quality transclucent silica tubes (milky white) which are mainly used in high temperature heating applications. These tubes are resistant to acids and are also used as protective covers for heating elements in acidic and alkaline baths.